Icon, a construction-tech company, unveiled a 3-D printer that can build houses of up to 2,000 square feet. The technology can print a custom home more quickly, with less waste, and at a lower cost than traditional home-building methods. The technology is designed to produce resilient single-story buildings faster, more affordably, and with more design freedom. It has expanded the footprint of printing capability to approximately 2,000 square feet. It has an adjustable width (to accommodate different slab sizes) and is transported in custom trailer with no assembly required. It features intuitive tablet-based controls, remote monitoring and support, on-board LED lighting for printing at night or during low-light conditions, and a custom software suite ensuring set-up, operations, and maintenance are as simple and straightforward as possible. Why it’s hot: Potential solve to shortage of affordable housing and housing shortage in general. The Yeehaw Wand simplifies the design process for 3D printable objects by allowing anyone to create an object with a smartphone or tablet. The kit comes with a wand to draw with and plate that displays the object with a 360-degree view. The plate connects to the owner’s device where the virtual object appears. 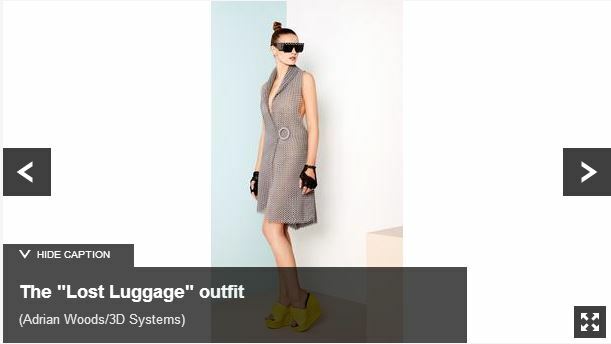 The device shows objects on the user’s view of the real world, where they can be manipulated—for example, you can have a person model for a 3D printed necklace. The software was intended to feel open-ended for anyone to pick up the wand and sketch whatever comes to mind. A finished design can transfer over to any 3D printer. If someone purchases the Yeehaw Wand without access to one, they can send their design to the kits’s developers who print and ship the finished product. The Yeehaw Wand is raising funds in a Kickstarter campaign that concludes on January 14. Why it’s hot: While the ‘pen’ or ‘wand’ does not look very intuitive or easy to use, this is an example of 3D printing and augmented reality becoming that much more accessible. 3D printers helped us make a great leap into autonomous making with the ability to create our own physical “products”. But in a world where increasingly physical objects and products are connected, it’s frustrating not to be able to create 3D things that can be connected to digital devices. Enter researchers from University of Washington, who have “developed a way to 3D print plastic objects and sensors capable of communicating wirelessly with other smart devices, without the need for batteries or other electronics”. It’s a primitive solution, but at least it’s an attempt to start enabling us to create our own “smart” products. In a world where soon almost all products will be connected, this is a promising step towards a true maker economy. Algorithms fooling algorithms may be one of the most 21st century things to happen yet. But, it did. Researchers at MIT used an algorithm to 3D print versions of a model object, programming them to be recognized as certain other things by Google’s image recognition technology. In short, they fooled Google image recognition into thinking a 3D printed stuffed turtle was a rifle. They also made a 3D printed stuffed baseball appear to be espresso, and a picture of a cat appear to be guacamole. Technology truly is magic. “We do this using a new algorithm for reliably producing adversarial examples that cause targeted misclassification under transformations like blur, rotation, zoom, or translation, and we use it to generate both 2D printouts and 3D models that fool a standard neural network at any angle. Clearly there are implications for the practicality of image recognition. If they can do this fairly easily in a lab setting, what’s to stop anyone with enough technical savvy from doing this in the real world, perhaps reversing the case and disguising a rifle as a stuffed turtle to get through an artificially intelligent, image recognition technology-driven security checkpoint? Another scary implication mentioned was self-driving cars. It just shows we need much more ethical hacking to plan for and prevent these kind of security concerns. Adidas is creating its first mass-market shoe that is being produced through 3D printing. The shoe is called FutureCraft 4D and it will be in market this year. One unique aspect of this shoe (besides that it is printed) is that the 3D printing allows the brand to customize soles for its customers. Amazing right?! I chose this for my Hot Sauce because 3D printing has always fascinated me. This technology was bound to help brands produce products at some point down the line and now Adidas is testing it out. Considering the adaption of 3D printing, its going to be interesting to see how more brands leverage this technology and cut down human labor. At the end of the day, how will this impact jobs? A company called OLO on Kickstarter has developed a 3D printing kit that works with mobile phones. The kit has several moving parts so this is not something that the average person would carry around with them, but the possibility of enabling 3D printing using a phone is really great. Though still in the infant stages, portable 3D printing technology is moving at the speed of light. Only time will tell if portable 3D printing will support specific use cases or if it will be relegated to gimmick status. 3Doodler has launched a kid-friendly version of its popular Kickstarter device, called Start, that extrudes eco-plastic material to make 3D designs. The device is available now for pre-order on the company’s website for $39. In addition to Start, the company has introduced a line of stencils called DoodleBlocks that allow young builders to create complex 3-D prints. It’s not hot to the touch, which is a good thing. But it is hot in that it brings the momentum of 3D printing to kids, enabling them to funnel their creativity and passion into a nearly limitless range of 3D designs. If you thought 3D printing was only for small toys, plastic parts and foods, the possibilities of what can be actually created were on display when NASA recently tested a rocket engine that produced flames and an amazing 20,000 pounds of thrust. It seems that 3D printing holds the possibilities for printing anything. It could render traditional manufacturing obsolete. Picture whole factory floors of giant 3D printers producing cars, walls for building a house, even airplane parts. We’ve already seen how 3D printers are used for creating artificial skin and other biomedical uses. With the capabilities of 3D printing accelerating, the efficiencies of manufacturing almost anything will have profound impacts on economies, employment and discoveries of new products. Hold onto your 3D printed seat belts. We’re about to have another manufacturing revolution. What can’t a 3D Printer do? A 54-year old Spanish man suffering from cancer — chest wall carcinoma it is called — had to have his entire rib cage removed as part of his treatment. But instead of a debilitated and crippled patient, the surgical team had another answer. The Spanish medical team sent his CT scan to a 3D-printing company called Anatomics in Australia. Why is this hot? As with so many technologies that are moving from concept to reality, 3D Printing has been a topic of high expectation and wide discussion in healthcare — when will it print skin, organs, how far can we take it? The other trend here is the globalization of healthcare. The digital revolution of communication allows for nearly instant connection between teams that may have never been able to benefit each other — let alone a patient! Anatomics makes so many types of body implants, replacements, enhancements, it is like looking at the GE of 3D Printing. True, there is a Frankenstein question that one has to ask: how many of my body parts will end up being replaced as I age or get sick? But if you are the patient laying there wondering what life will be like, whether you will have a life at all, a manufactured set of ribs made in Australia seems like a moment of light in the darkness. In the end, all healthcare advances are the advancement of hope. 3D printing technology has been put to all kinds of weird and wonderful uses as it moves further towards mainstream use, and the latest ambitious project being tackled by the experts is a fully functioning bridge across one of Amsterdam’s canals. 3D printing research and development firm MX3D is in charge of the operation, getting help along the way from the likes of software developers Autodesk and construction outfit Heijmans. What makes the idea particularly interesting is that everything will be automated — 3D-printing robots will start on one bank and gradually make their way over to the opposite side, building as they go. The robots will be creating the bridge out of steel, heating up the raw material to around 2,732 degrees Fahrenheit (1,500 degrees Celsius) before welding the structure in place — the resulting bridge will be strong, sturdy, and protected against the elements. MX3D says a visitor center where people will be able to follow the progress of the robots is going to open in September, though as yet the exact location of the bridge hasn’t been confirmed. This takes 3D printing to a different level… taking it out of it’s literal “box” and bringing it to do work outside. This provides another example of ways that machines can help us achieve really cool things… however right now it’s a bit cost-prohibitive. 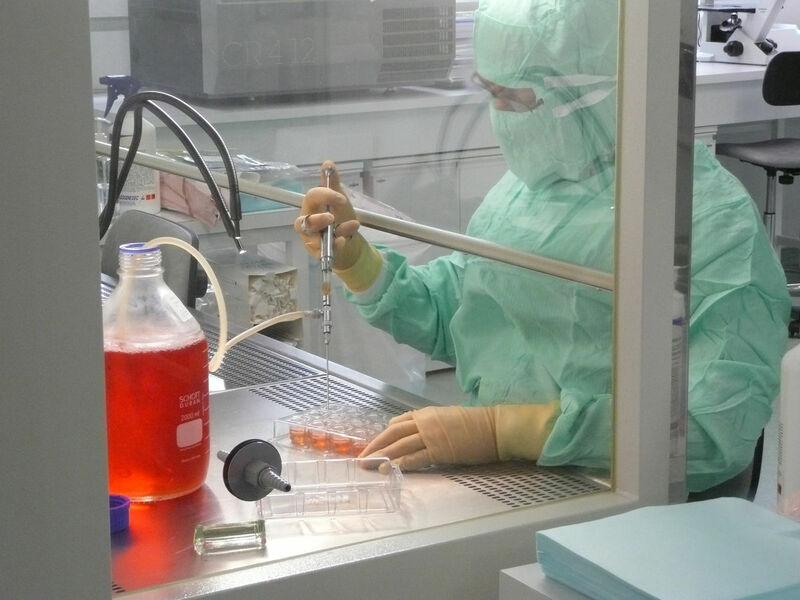 Cosmetics giant L’Oreal is partnering with Organovo to begin 3D printing human skin, which it will use during the testing and development of cosmetic products. Though L’Oreal has been producing human skin as far back as the 1980s massive facilities, new 3D printing technology could drastically increase the amount of skin available while significantly decreasing the costs associated with cultivating the necessary stock. The move could also be a boon to L’Oreal’s business. L’Oreal uses roughly half the skin it produces and sells the rest to pharmaceutical companies and rivals in the cosmetics industry. The company wouldn’t provide current prices but in 2011 that samples cost €62 ($70.62) a pop. Nine skin varieties are available, covering a range of ages and ethnicities. 3D printing body parts is not a new concept, but L’Oreal’s plan to commercialize production and essentially become a “skin dealer” demonstrates how the line between businesses can be blurred through technology. Product improvement, faster development, and new lines of business can all be created by leveraging the right technology. The Sagrada Familia, located in Barcelona, is perhaps the most famous construction site in the world. It also has a tragic backstory, involving architect Gaudí’s tragic death in 1926 and the loss in the Spanish Civil War of many important architectural plans, that explains why it has been unfinished for over 100 years. Gaudí was a visionary who liked to be on the cutting edge of technology, and today it’s helping architects continue his grand project. 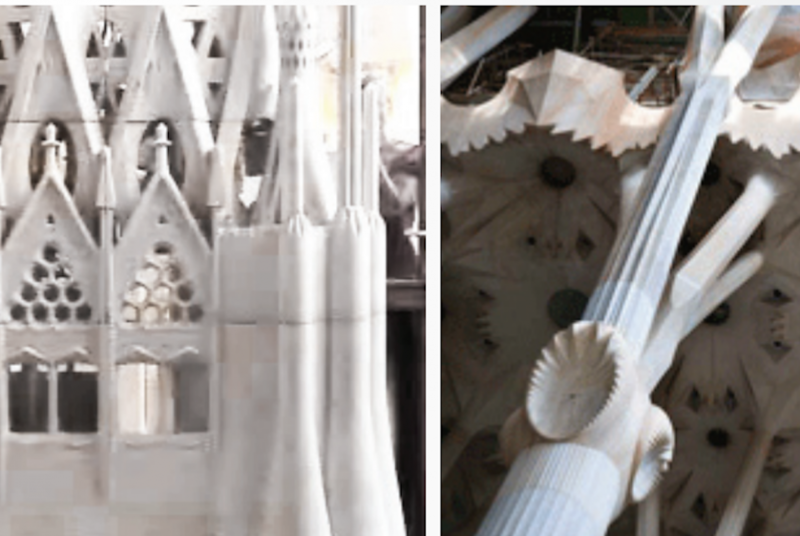 For years, work on the Sagrada Familia’s interior and facade, which were intended to have different facets, was dependent on painstaking handcrafting. And since work on the church is entirely funded by donations, progress has not been what it could be, and it is difficult to find craftspeople who can continue to take on the work properly. The human hand also cannot produce appropriate models in scales smaller than 1:25, which made it hard to reproduce Gaudí’s models. That’s where the 3D printers came in: two ProJet CJPs allowed architects to print models at the tiny 1:50 and 1:100 scales, and at Gaudí’s scales of 1:10 and 1:25. Chief Architect Jordi Coll pioneered the use of these printers way back in 2001, 14 years ago. 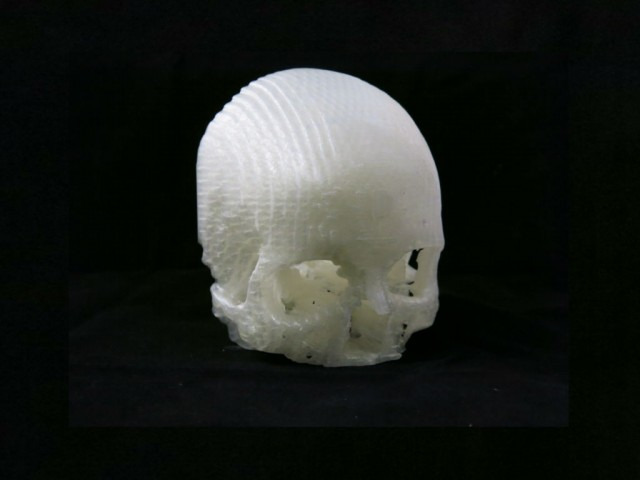 Since then, 3D System’s Spectrum Z510s have been added to the roster, and they have allowed researchers to focus on the overall puzzle of making a feasible building, including molding the pliable printed plaster, adding human touches, and in some cases even repairing broken models. The parts are modular and can be easily swapped around. Already, the interior of the Sagrada Familia is approaching completion thanks to this innovative use of materials. The rest of the cathedral is now expected to reach completion in 2026 – 144 years after construction on it started in 1882. This innovation bodes well for other architectural projects requiring a lot of detail; perhaps the tyranny of flat boxy structures will one day come to an end. 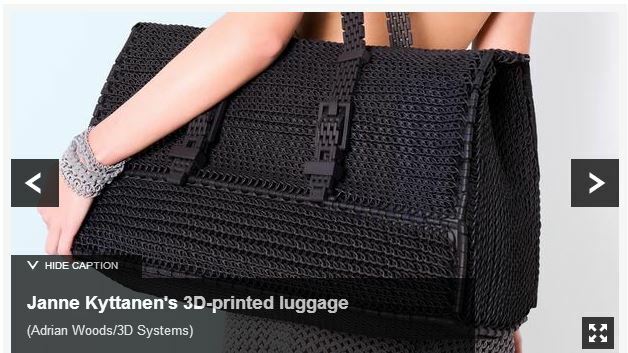 This demonstrates a fascinating use of 3D printing technology. 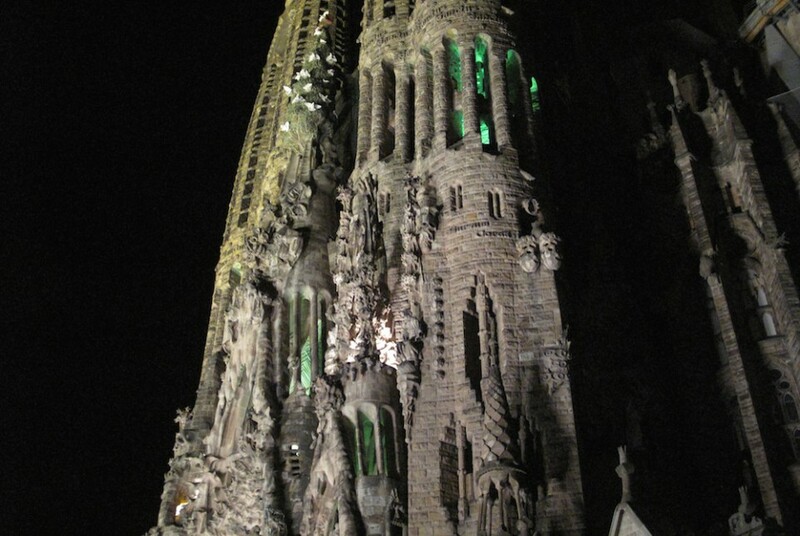 Having visiting Sagrada Familia before, it seemed nobody had any faith it would ever be completed. Now we have a way in which new technology and help complete and restore architecture and open up the door for intricate designs once again. A new kind of food processing machine called the Genie can make personalized meals with the press of a button, ready for eating in less than a minute. The appliance includes the single-portion capsules, ranging from couscous to cake and muffins, and the machine that prints the ingredients into edible foods. Genie can even consider dietary restrictions, including gluten-free and and vegetarian options. Read more via No Camels. Why It’s Hot: 3D printing is cool but 3D printing food is hot. We have already seen 3D printers that can make chocolate and print pancakes, but Genie expands this idea to make more personalized food and make it instantly. In addition to the fun tech aspect, Genie also seeks to eliminate food waste, as well as curb obesity by controlling consumers’ meal portions. Fun technology, plus environmental and human benefits sounds like a piece of too-good-to-be-true instant cake to me. The company is already seeing public interest and are in the mass production stage for corporate clients, arranging thousands of orders from Israel (where it was founded), the U.S. and Greece. PancakeBot is the world’s first pancake printer. A Norway-based American maker of an earlier DIY LEGO Pancake Bot is at it again, this time crowdfunding a smarter batter dispenser that 3D prints drawings in pancake batter and cooks them in the order the lines were drawn, resulting in pancake art. Learn more and watch a demo video to see how PancakeBot works via Tech Crunch. Why It’s Hot: Perhaps the only thing better than eating pancakes is getting to design them too. PancakeBot’s success with its Kickstarter campaign proves that consumers are enthusiastic about their pancakes – and technology. While Tech Crunch notes that 3D printing of food is still a niche market, we’ve already seen other edible applications of 3D printing technology. Humans need to eat to survive, and suffice it to say that most enjoy it. Printing and physically designing food makes eating that much more fun. We’ve seen the lengths of 3D printing being tested in other fields, from treating brain tumors to manufacturing automobiles, but PancakeBot provides a unique user experience by enabling – and requiring – consumers’ participation. We’ll have to stay tuned to see what 3D printing will do next. In the summer of 2013, Pamela Shavaun Scott started having “24/7 severe headaches” — so severe that she couldn’t sleep. It wasn’t before December that she heard for sure that it was a brain tumor. Through two MRIs several month apart doctors determined that Scott’s tumor was growing and several neurosurgeons told her that, because of the mass’ location (behind her left eye), the only option was “sawing your skull open” and lifting the brain to remove the tumor, which, of course, comes with tons of risks, including possible cognitive damage and blindness. Scott worried she’d never be the same. Scott’s husband, Michael Balzer, who is a 3D imaging expert behind the website AllThings3D, used Photoshop and layered the 2D images to compare what radiologists were telling his wife to his own research. He found the tumor hadn’t grown at all. It was clear they couldn’t simply rely on what the doctors were saying. 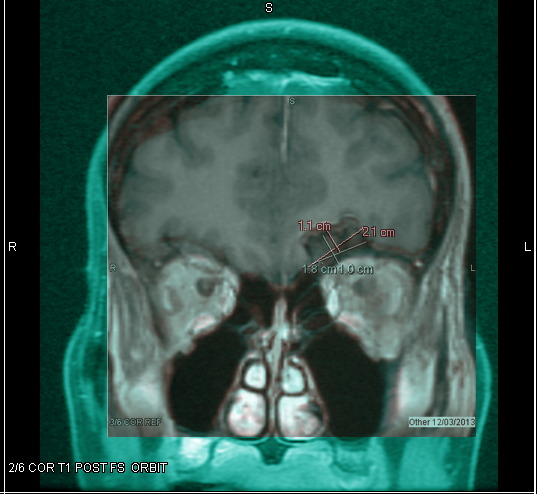 Using a tool called InVesalius — open-source software from Brazil that uses DICOM, MRI and CT files to visualize medical images — as well as another imaging software 3D Slicer, Balzer was able to create renderings of his wife’s tumor. The couple sent them out to hospitals across the country around February, Balzer said. Through the 3D renderings, doctors decided to take a less invasive approach to remove the tumor. Instead of sawing into her skull and lifting the brain, the doctors planned to go through her eyelid. The surgery was successful as the surgeons were able to remove 95% of the tumor (about 5% was wrapped around the optical nerve — too dangerous to remove). There’s a very slim chance that it will grow back, the couple said. After the surgery, Scott said it took her fewer than three weeks to recover enough to return to work. This is great example of the use of emerging technology and the way it can improve someone’s life. According to Balzer, this was the first time surgeons were able to examine physical 3D renderings prior to a medical procedure. This case study proves that 3D technology can provide value to the healthcare industry. For travellers, the process seems particularly convenient. Why lug around an entire suitcase of items, for example, when you could simply print out what you need once you’ve arrived at your destination? “It’s not as simple as pressing a button and getting a product,” said Phil Reeves, managing director of 3D printing consultancy Econolyst. “It is just another manufacturing technology, that’s all. Yes, it’s quite clever, and yes, it’s quite flexible, but it doesn’t materialise things out of nowhere.” With traditional manufacturing methods remaining inexpensive, he pointed out, you might as well simply board that flight to Paris without your luggage – and just buy all of your items on the cheap when you arrived. We all know that 3-D printing is going to be the next commodity technology for the world, and we are now seeing even more ways to use it. This is particularly interesting because it is not just being used to create a product that can be sold, or be a modern upgrade of a system of manufacturing, but how it can become a consumer facing aspect of a common process. This September, a company called Local Motors will produce and assemble a full car through 3D printing at the International Manufacturing and Technology Show in Chicago. The car will be printed as one unit at the show, and there will be live printing of the dashboard, seats, trunk and hood at the show, as well. The car will seat two people and will have an electric engine. As reported by psfk.com, John Jay Rodgers Jr, the company founder in 2007, was quoted as saying, “t took us less than 40 hours to print one car and less than four days to assemble the first prototype which is an unbelievably short amount of time. By the end of this (American) summer it will be less than 20 hours of printing, and we believe we can get it down to less than an hour of assembly by two people. Our goal in the end is to be radically different about the creation of cars; we sort of commonly say a car today is over 20,000 parts – we would like cars of the future to have less than 20 parts. This video shows the test drive of the 3D printed Mule, featuring the drive-train to be used in the car being printed at the show. 3D printing is going to radically change the nature of manufacturing and the availability of products. Cars going from 20,000 parts to less than 20, printed in less than an hour, will change our expectations of how quickly we can get things, how easily they can be repaired, or what new creations can be invented. It will also likely have a major impact on the workforce and employment, as labor-intensive industries continue their evolution toward automated design and processes. Instead of buying yet another pair of Toms this summer, perhaps you order an envelope with a leather shoe upper, a leather shoe sole, and some cotton laces inside. Then you stitch the pieces together. And so you’ve made a shoe, with all the ease of an Easy Bake Oven. That’s the premise behind Pikkpack, a new footwear company with a Kickstarter campaign. 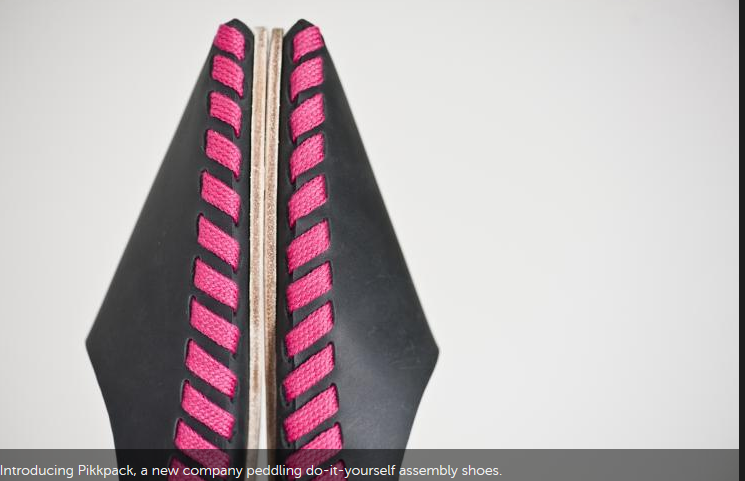 “By implementing the DIY concept, we would like to encourage the user’s participation in the manufacturing process and therefore to improve the user-product connection,” says Hanna Halasz, who–along with co-founder Sara Gulyas–based the Pikkpack design off a traditional Hungarian bocskor shoe made from a single piece of leather. It’s an ultra-minimalist product: Pikkpack shoes weigh less than one pound, and only uses a small amount of glue in the heels. While it may seem just another competitor to Tom’s on its face, the larger point is how it can marry up to the future of 3D Printing becoming available to individuals. With this technology, marketers can start thinking about how they can actually give consumers their products in new ways–digital ways–that enable delivery to be cheaper, immediate and infinitely customizable. 3-D printers have been used to produce toys, jewelry, even food. 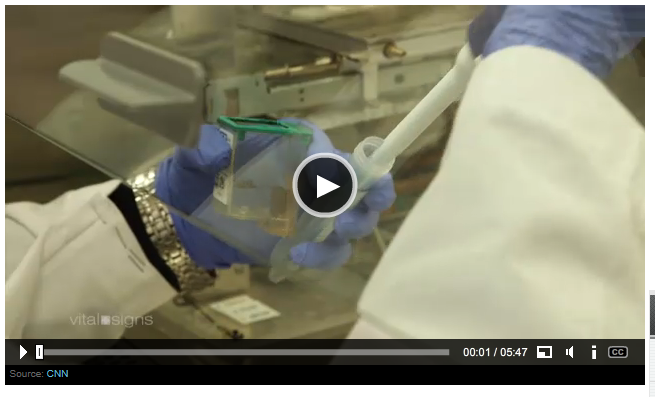 Scientists have already been using the printers to print tiny strips of organ tissue. While printing whole human organs is years away, the process–called bioprinting–is developing at a fast pace. There are steps showing the promise: last year a 2-year-old girl in Illinois, born without a trachea, received a windpipe built with her own stem cells through a similar process. Printed organs could be used for drug or vaccine testing, freeing researchers from less accurate methods that involve animals or synthetic models. Of course, printed organs may also be used in transplants. According to the CNN article, about 18 people die in the US each day waiting in vain for a transplant due to the shortage of available organs. There are ethical arguments around the use of 3D printed organs, including that they are likely to be very expensive and out of reach of all but the wealthiest people. In the near future, at least, it is more likely the technology will allow development of small pieces of organ tissue to replace diseased or damaged tissue. A German engineering firm has crafted and 3-D printed the frame of a full-sized luxury car. No longer confined to small-scale prototypes or designs, this is a breakthrough for the capabilities of 3D printing. Although large-scale printing of this magnitude is still years’ off, it seems inevitable that 3D printing will replace large assembly lines sometime in the future. 3D printers are currently confined to producing small-scale parts and designs. As they scale to full-size designs, though, the ability to customize and rapidly bring to market different products (and not just cars) will revolutionize design and production and disrupt the assembly-line model that has been in place since Henry Ford. That will have enormous implications on the pace of innovation, marketing and costs.